Preston C of E Primary School was originally founded in the 19th Century and was based on Preston Road, Yeovil. The school was relocated due to the expanse of Abbey Manor Park in 1989 and was further was further expanded in 2008. It is currently a 14 class school for children aged 4 - 11 years. Recognising its historic foundation the school will preserve and develop its religious character in accordance with the principles of the Church of England and in partnership with the Church at parish and diocesan level. 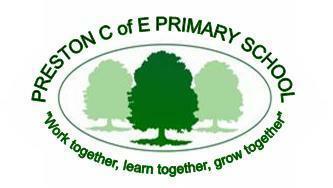 You can visit the Preston Primary School website here.